It was back in October last year that Sony announced it would be buying long-term ally Ericsson out of the partnership, ending one of the most enduring collaborations in the mobile industry, and subsequently going-it-alone. Today marks the end of that era, as according to a short press release, the money has changed hands and the deal has been completed. How much money? A total of 1.05 billion euro, which converts to around $1.3 billion or £870 million. For this Sony will get a whole host of patents related to wireless communications and mobile, plus the chance to more closely integrate a range of mobile phones with its other connected devices. The timing of the buyout is perfect too, as Sony has teased they’ll be providing more information about “Dot Switch” on 21 February, which is believed to bring its “four screens” (that’s TVs, tablets, phones and computers) together. 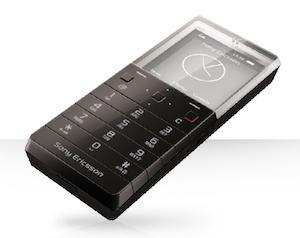 After today, Sony Ericsson will be owned by Sony, and the company will be known as Sony Mobile Communications. This indicates we’ve seen the last of Sony Ericsson-branded devices, however the name isn’t expected to phase out entirely until the middle of the year. In fact, the Sony Ericsson name has already appeared on the company’s Mobile World Congress press conference invitation, however it’s possible that any phones released there will only wear Sony’s branding. This could mean the lackluster Xperia Active Billabong Edition could become the company’s swansong, which is something of a shame considering the the great works the partnership delivered in the past. So how should Sony Ericsson be remembered? Its recent Xperia Android models are very sleek and stylish, but have struggled against challengers from Samsung and HTC, but back when feature phones ruled the world, Sony Ericsson didn’t have the same problem. While it has produced many great devices, we’ve chosen two which demonstrate everything that was once so exciting about Sony Ericsson. The first is a mass-market handset that truly changed people’s opinion about what was possible when a phone and a camera came together. Launched in 2006, the Sony Ericsson K800i was the first to wear Sony’s CyberShot branding, indicating that it sported a high quality camera. While 3.2-megapixels sounds tiny today, it was incredibly impressive back then. It had a sliding lens cover that used a magnet to stay closed, Sony’s BestPic burst mode, red-eye reduction, an image stabilizer and auto-focus, plus a xenon flash for superb low-light photography. It performed brilliantly too, taking pictures that were close in quality to those snapped with a point-and-shot camera of the day. 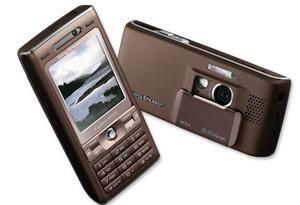 It spawned several sequels, including the K850i with a 5-megapixel camera, but it’s the K800i that should take its place in the Sony Ericsson Hall of Fame. The second device is more of a rarity, an experiment in design that’s still unique today: The Xperia Pureness. Was this a good phone? No, not really. Did it have a cool camera? No, in fact it didn’t have a camera at all. How about a massive colour screen? Again, no, it didn’t; but the screen is what makes the Pureness so unique, as it was transparent. Yep, put your hand behind the Pureness’s screen and you could see it. Measuring a mere 1.8-inches, the monochrome screen looked like nothing else, and still doesn’t today. It cost more than £500/$760 when it came out in 2009, and was only available in a few boutique-style stores deemed worthy to carry it. It even came with the “Pureness Concierge,” a 24-hour phone service that would organize anything from travel plans to securing VIP event tickets. While the latest smartphones are all more powerful and more feature-packed than these two, the K800i and Pureness represent the company at its best — innovative class leaders. So long, Sony Ericsson, we’ll miss you.